Designer Brian Logan. 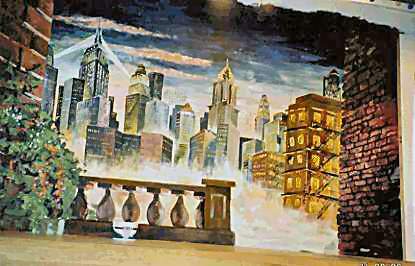 Scenic artist Brian Willis. Part of the brief was a practical window overlooking a New York skyline at dusk. 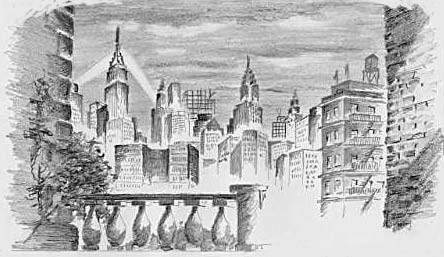 After considerable doodling with ideas and some research into what buildings existed in the 1930's etc. I eventually worked up this pencil sketch of my proposed cloth.